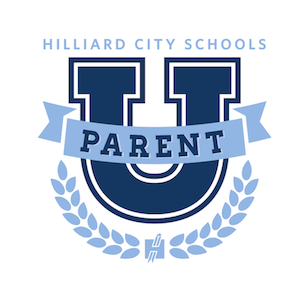 Hilliard City Schools is committed to partnering with our parents in order to fulfill our mission of preparing our students to be Ready for Tomorrow. We know it can be difficult to learn about all the different academic and extracurricular opportunities available. The goal of our Parent University is to provide an easy way for you to find all of the parent and student programs the District offers. Please bookmark this page and check back often. We may, from time to time, add new opportunities for our community and may need to make a change with a scheduled program or workshop as well. You will continue to find these events shared from our principals and staff, but this page will always be a quick way to find programs. Do you have children who struggle with perfectionism? Perhaps you do yourself. Would you like practical ideas for helping overcome it? Perfectionism is an occupational hazard of giftedness, and its effects can be truly debilitating. Join gifted education expert, Lisa Van Gemert to learn what perfectionism looks like in gifted kids, its potentially damaging effects, and then take a deep dive into the big ideas and strategies for turning this terrible master into a compliant servant. This workshop is for any parent of a 7th or 10th grade student that will be taking health classes during the upcoming school year. Specifically, it will provide information about the Signs of Suicide Curriculum that will be presented to these students in their health classes as a district wide initiative. The presentation will cover signs and symptoms of depression, how students are encouraged to reach out for help for themselves or peers, as well as research and information related to teen depression and suicide. Middle School is a critical time for self-discovery, developing confidence, and understanding why education is relevant to students’ future. Naviance is a college and career readiness solution that helps students discover during these pivotal years their strengths and interests, and see how they can help them reach their goals. Come learn how HCSD is intentionally utilizing Naviance in grades 6-8 to engage students in the learning process and improves student outcomes by helping students connect their strengths and interests to long-term goals today. We are proud to partner with Dawson Careers to connect students and families to local businesses to provide authentic learning experiences in their areas of interest. Dawson Careers will join us for this informative presentation. High School is a critical time for self-discovery, developing confidence, and understanding why education is relevant to students’ future. Naviance is a college and career readiness solution that helps students discover during these pivotal years their strengths and interests, and see how they can help them reach their goals. Come learn how HCSD is intentionally utilizing Naviance in grades 9-12 to engage students in the learning process and improves student outcomes by helping students connect their strengths and interests to long-term goals today. We are proud to partner with Dawson Careers to connect students and families to local businesses to provide authentic learning experiences in their areas of interest. Dawson Careers will join us for this informative presentation. In Hilliard City Schools, we work to create a learning environment that prepares our students to engage in the literate world around them. In our elementary schools, we strive to grow the academics, mindset, and interests of every reader. This informational session will provide the opportunity for parents to hear about the literacy opportunities students experience in our classrooms. We hope you can join us. We’re excited to share our story with you. This year we will host Dr. John Marschhausen’s 6th State of the Schools Event in partnership with The Hilliard Area Chamber of Commerce and Heritage Golf Club. We will have light appetizers and music from the HCSD Honors String Quartet beginning at 6pm at Heritage Golf Club. The presentation will begin at 6:30pm. We are grateful to our sponsors of the evening, Credit Union of Ohio, Elford and Fanning/Howey Associates, Inc.
Let’s take time to make sense of the pathways that students travel as they progress in understanding a new skill, such as addition, subtraction, multiplication, and division. In addition, we will explore why it is critical to expose our kids to problem solving every day. We will take a glimpse into the intentionality of our young mathematicians noticing, wondering, estimating, questioning, recalling, verifying, communicating, and thinking. We look forward to exploring and learning together! This seminar is open to students and families from all area high schools. Bring your questions for the college representative. Q & A time will be provided throughout the seminar. Can you do this on your own? The transition teams at Dublin and Hilliard City Schools invite you to a discussion of the Guardianship process, including a review of forms and court filings. You’ll leave with a better understanding of the probate process and be able to determine if obtaining Guardianship is something you can do on your own. Presented by Bill Root and Logan Philipps of Resch, Root & Philipps, LLC. This program is FREE to the public, but registration is required. Limited seating available. Register Now! Having student be “Ready for Tomorrow” takes academics, interests, and mindset. Join us to learn more about how, and why, HCSD is emphasizing social emotional learning (SEL) attributes with our students. Get a glimpse of what teachers might be doing in the classroom and how you can help at home! Join us to learn how HCSD utilizes Mastery Learning and the Workshop Model to allow students to demonstrate meaningful growth and achievement on specific standards and skills through relevant and authentic personalized opportunities. The key concept of HCSD Mastery and Workshop in the classroom: with the Workshop structure, clear curricular expectations are provided and Mastery leads to a growth mindset in the classroom with multiple chances to grow. In Hilliard City Schools, we work to create a learning environment that prepares our students to engage in the literate world around them. In our elementary schools, we strive to grow the academics, mindset, and interests of every reader. This informational session will share with our families the services and supports we have in place for those struggling with reading. This meeting will help parents navigate scheduling for their students who will be juniors next year. There will be information on Naviance, College Credit Plus and Tolles. Parents of students who may qualify for the 2019-2020 Arrow Program, a fourth and fifth grade full-time gifted program housed at Tharp, will be invited to an information night. Parents will be introduced to the Arrow staff, get answers to questions, and learn about what makes Arrow a unique program for gifted students in Hilliard. A documentary about the impact of social media on our lives. The teenage years are full of many adventures and exciting growth but they can also be described as a rollercoaster of emotions. But how would you know if your child is just going through normal teenage highs and lows versus a more serious depressive disorder? Join us as we discuss normal adolescent brain development and the effect of depression on the teenage brain. Learn practical strategies to address depression should it affect your child or family. Please join Hilliard City Schools and Dawson for a night to connect students and families with select businesses and colleges in our region for career exploration and job opportunities. Dr. Edward Amend – Lexington, KY Clinical Psychologist specializing in the social, emotional, and educational needs of gifted and talented youth and their families. The presenter will review common myths about gifted children and provide practical advice for parenting a gifted child. Topics of discussion will include fostering communication, developing discipline, improving motivation, managing stress, moderating perfectionism, and nurturing positive family relationships.